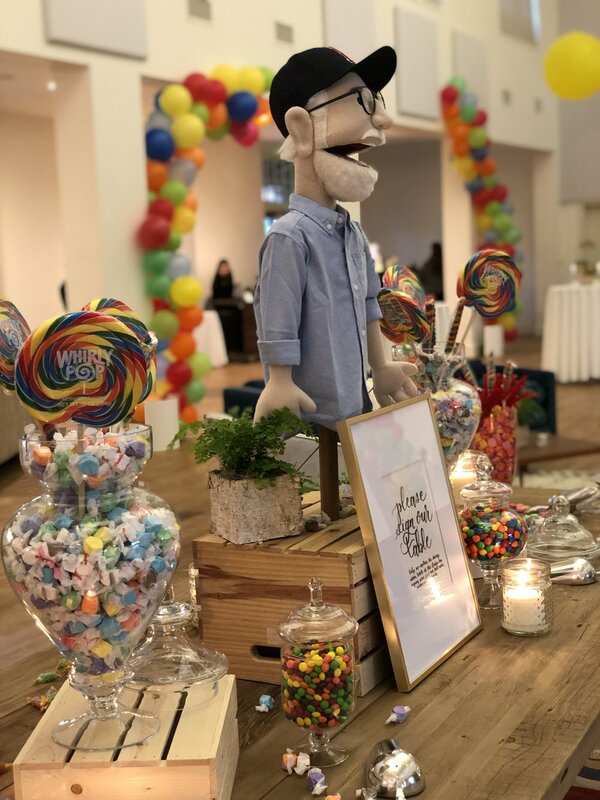 Author Bob Goff’s family planned the most amazing surprise 60th birthday party at the amazing BLDG 177 venue in Liberty Station. Over 225 friends and family gathered from all over the world to celebrate. The family shared with Harvest Kitchen that Bob was forever a kid at heart, and their theme was a 5 year old’s birthday party. And we thought, hmmm, what would a 5 year old want to eat? Breakfast for dinner! Cereal bar, waffle station, brown sugar bacon cones, a hash brown bar, mini biscuits and gravy, balloons, and all the candy you could imagine. They had balloons, a marching band, there was even a pony! The vendor team all did an amazing job to bring this dream to life. It made us all feel like a kid again. To view the total menu, CLICK HERE.